Thanks to Shaun Wilde, Peter Vermeulen, Toni Wenzel, Josh Rogers & listeng. 1. Added support for OpenCover.UI.config file to add OpenCover commandline arguments while running. NOTE: The plugin is currently under development. This is just to give a peek into what is available right now. If you come across any bugs, please report them so that we can fix them. Please install OpenCover from here. The plugin assumes that it is installed at %localappdata%\Apps\OpenCover. 2. The tests will be populated once a solution is opened. Right click on any of the tests and Click on Cover with OpenCover. 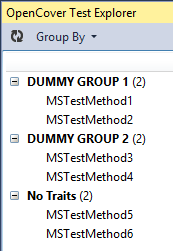 Tests can be Grouped by Class/Traits/Namespace by selecting the respective option from theGroup By menu. Tests can be executed by right clicking on the tests to be executed and choosing the option "Cover with OpenCover"
3. 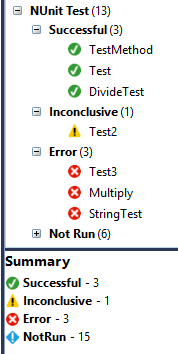 Once the tests are executed, the CodeCoverage Results window will show the Code Coverage results. The window can be opened by using the Test -> Windows -> OpenCover Results. The OpenCover Results window shows percentage of code coverage. On double click of either a class or a method, the corresponding file is opened. light green background and the rest will be color coded in Red. 4. 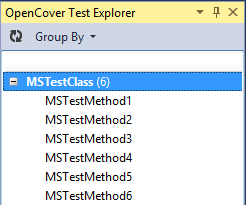 Test Execution results are shown in OpenCover Test Explorer. 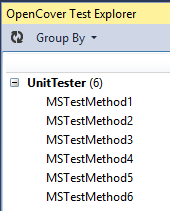 When individual tests are selected, the execution result of the selected test is shown. 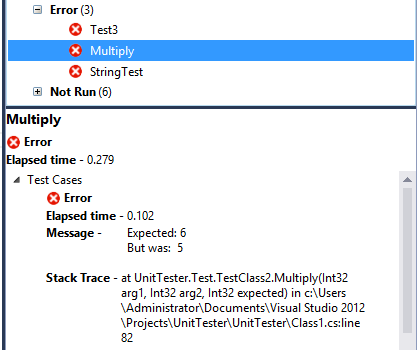 In case of NUnit Test cases, results of all test cases are shown. 6. OpenCover commandline arguments can be given through a config file. and a file named OpenCover.UI.config be present in it. Sample structure of the file is given below. be added to the commandline arguments while running OpenCover. 7. Source code is availablehere.